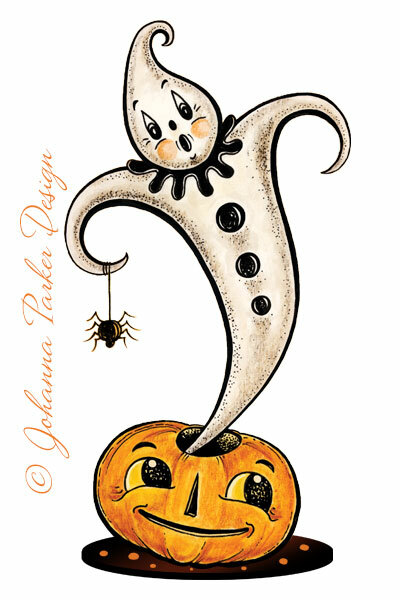 * So many of you have inquired about my ghosts, so finally I will have a collectible reproduction to offer to you! * Inspired by the movement and flowing curves of this character, I created a composition to frame him. The hope is to apply this fanciful image to various products, such as art in frames, pillows, napkins, plaques, etc... Please leave me a comment if you have more ideas for me! * And, here is a sneak peek of this ghost's posterior! Rendering his backside is fairly simple: Reverse the image, blend out the faces and front accessories, and voila! It's the profile views that are a bit more challenging to imagine and interpret on paper and screen..... ALSO, those of you that follow me on FACEBOOK were recently asked the silly question: "How you prefer your SPIDERS?" If you missed it, GO take a peek to see the other flat art illustration that I have in the works to add to my collection of 2014 Halloween figures! I look forward to sharing this final Ghostly character piece with you when it releases next summer! In the meantime, keep an eye out for my latest Halloween figurine coming out this year! 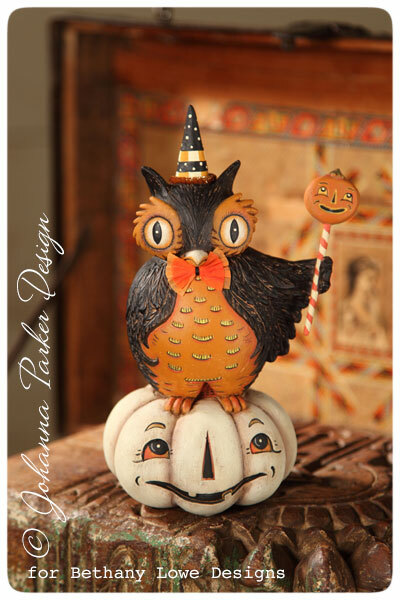 For those of you who howl for Owls, you will adore this sweet collectible piece. I just received my samples last week, and they are ever so fun! 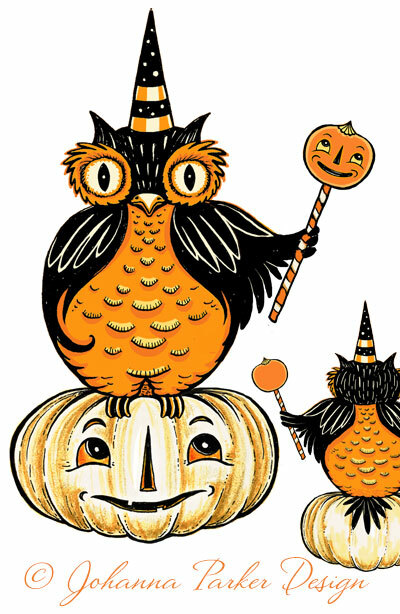 Look for "Perched Owl on Pumpkin" (not the most exciting name - LOL) coming to a gift shop near you. Or, you can visit my list of online vendors that carry my licensed designs and inquire about this Fall 2013 piece! 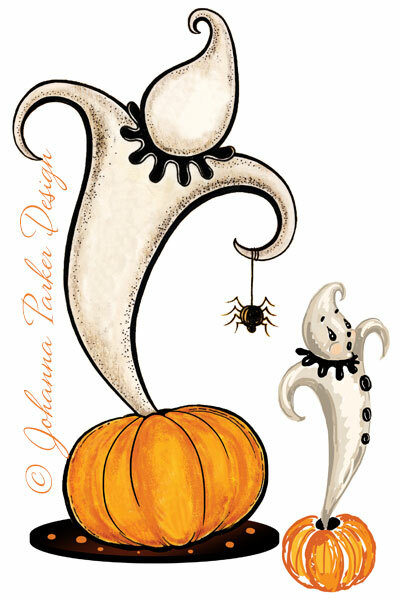 * And, as I did with the illustrated ghost rendering above, so I did with this fun owl! 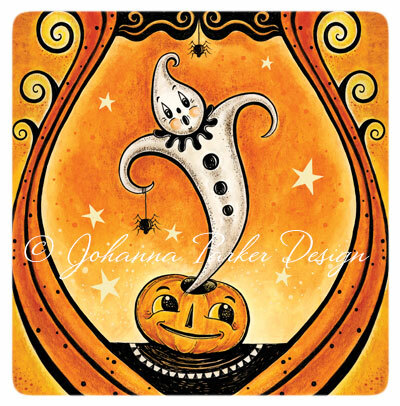 He started out as a flat illustration, and after they spun their Halloween magic, the talented manufacturers that work with Bethany Lowe Designs brought him to life!